There seems to be this idea of how newborn photo sessions should go. 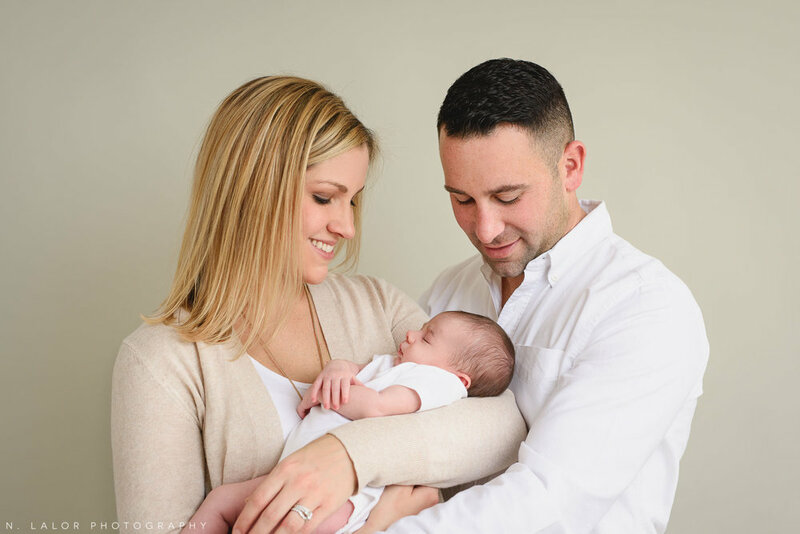 Your baby should sleep soundly through the whole photoshoot, allow herself to be changed and manhandled, and will overall be in the most amicable and pleasant mood the entire time. Never mind that she's in a totally new environment and has just been born a few weeks prior. So you can probably see how some of those expectations might be a little too ambitious. Addison was honestly pretty unhappy for most of the three hours we spent together. She wanted to nurse, and fall asleep on her mommy.. and why not? She's a newborn. That, by the way, is totally normal. 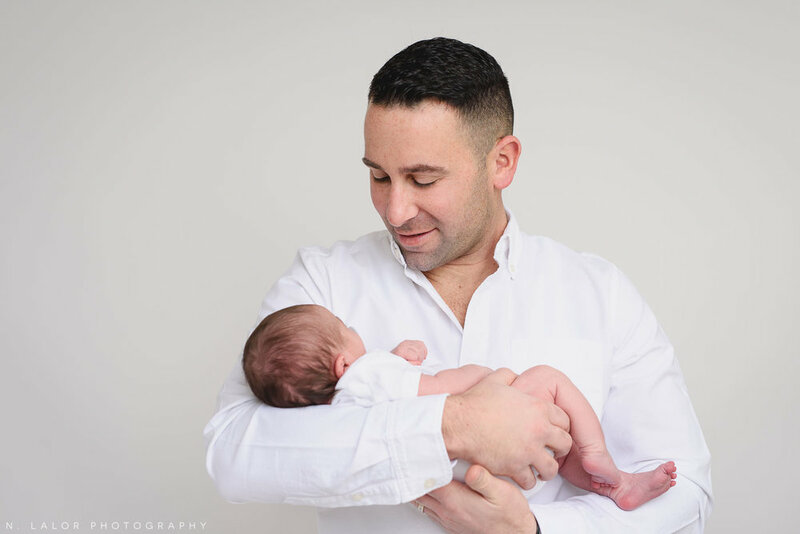 My newborn photo sessions are really laid back because I don't pose newborns.. but, while the baby can either sleep or be awake for the photos, I do need her to be happy. And I'm content to wait. So Addison got as much milk as she liked, got rocked and held by her parents, and eventually settled down to a peaceful slumber. It just took a few hours to accomplish (which, by the way, why I only schedule one newborn session a day). In the end, we got some beautiful photos. But here's the thing.. newborn photo sessions are simply not like other photoshoots. Most of the time will be spent waiting. That's just how they go. It doesn't mean your baby is doing anything wrong, it doesn't mean I'm wasting valuable time because I'm not actively photographing your family.. it simply means that waiting is part of the process. So take a deep breath. Relax. And know that even with the crankiest newborn, all you have to do is give her what she wants until she's satisfied and happy. It works like magic, I promise.